Best Cinematography: With a seemingly endless budget, Goblin blew all other dramas away with its dazzling settings and superb filming quality. From the Goblin and Grim Reaper’s opulent mansion to the dreamy, scenic views of actual Canada, this drama served us a veritable feast for the eyes. I particularly liked the contrast between scenes set in the past and those in the present. I’m used to dramas throwing some type of sepia, yellow-toned filter to flashback scenes, so it was a very pleasant surprised when Goblin differentiated the time periods with the camera quality. Flashback scenes from a past era were filmed with a wide angle lens as if they were part of a decadent period fim, while the present-day had the more normal, drama look to it. Goblin was highly experimental in how it was filmed, which only enhanced the otherworldliness of the story. Best Overall: Revenge tales are a dime a dozen in world of dramas, but Defendant is one of the better ones that I’ve seen, and certainly my favorite from this year. Buoyed by a strong acting performance by Ji Sung, this drama knew how to manipulate the story to create a nerve-racking and suspenseful viewing experience for the audience. I found Defendant to be similar in spirit to the Korean movie classic, Oldboy, because of how twist-filled the story was. (Rest assured, it’s not nearly as twisted as Oldboy.) The success of this drama should rightfully go to Ji Sung because he carried it from beginning til end. Without his stellar acting, the plotline could have potentially come across as too implausible and overwrought. His performance as a man who’s literally lost everything deserves all the credit for how effective and emotional each twist and turn was in the drama. Defendant was great, but Ji Sung showed us how an actor can turn a great drama into the best of 2017. Best Cinematography: Though I did not finish recapping it (sorry! ), but this category goes to Ten Miles of Peach Blossom for sure. I know it is full of CG, but you gotta hand it to the crew; the settings all looked beautiful, and while I can still tell whether its real or not, the “unrealistic nature” is not distracting and does not detract from the actual drama at all, but actually adds another layer to the story. In a way I feel like Ten Miles of Peach Blossom chained together a series of Asian glamour shots, and the result is an incredibly beautiful piece of artwork. What’s not to love? Best Plot: I’ll admit I haven’t seen that many dramas this year, but the story line of Fight My Way really caught my attention. Why? Because it is a deviation from the typical chaebol story, and instead focuses on average people – what their fears and dreams are. Of course, they aren’t just average after all, because they are resilient, persistent and determined to make their dreams a reality. Sure, they have plenty of obstacles standing in their way, and they stumble, they fail, they wonder if they should continue just like we would, but they eventually overcome their challenges. I love the complexity of human nature shown through the simplicity of this drama. And I can’t say no to something that finds what shines in the ordinary. Best Overall: This might feel like a cop out to some of you, but the best drama this year will have to go to Goblin. I’m not a Gong Yoo fan or anything like that, so I would consider my opinion fairly objective. A bit slow at first, this drama really lived up to its expectations. 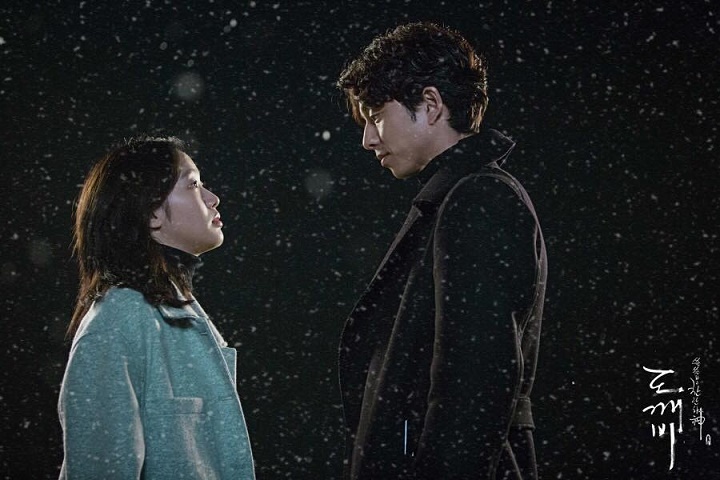 With an all-star cast and a big production budget, Goblin was able to make a fantastical story seemingly realistic and plausible. Now, I’m not one for mythical or supernatural series, but there is a certain level of earnestness in this drama that really drew me in. IT takes a well to really get into it, but I don’t regret it one bit, because once you are fully immersed there’s no way you are getting out. What’s not to love when you have four veteran actors and amazing script? Oh, and the bro-mance is on point. Best Cinematography: While You Were Sleeping. 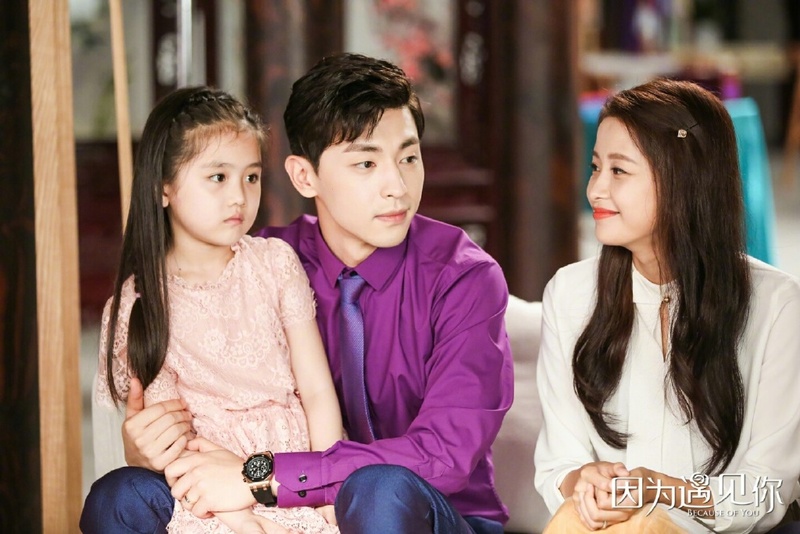 You could feel the preproduced quality of this drama from the first scene. Every shot was gorgeously done. I loved the drama itself (as I always love this writer’s dramas) and the leads (plus Batman who stole the show) but it was too similar to the writer’s previous dramas to make the story itself stand out. Best Plot: While You Were Sleeping and The Best Hit were both great dramas but had some loose plot-holes with the fantasy aspect. So I think my vote goes to Cambrian Period. I was impressed at how tightly the plot was woven and how every question raised was explained. Though the tight plot still translated to uneven pacing between episodes. Best overall: Lovely Love Lie (aka The Liar and His Lover). A well-written drama that was so fun to watch and made me happy all the time. Best Cinematography- Hands down for me it was Tribes & Empires: Storm of Prophecy. Frankly, this drama is on a whole different level for visual aesthetic. The visual beauty of this drama is stunning and at times overwhelming. Whether showcasing sweeping vistas or small palace scenes, the care and detail in the cinematography is amazing. Best Plot- Forest of Secrets. It’s difficult to do a mystery/thriller right, and Forest of Secrets keeps you interested from episode one. It also took a well worn premise and made it fresh again. The fact that this was the writer’s debut makes it even more amazing in my view. Best Overall- Forest of Secrets. Great plot plus top notch acting all the way from a great cast.